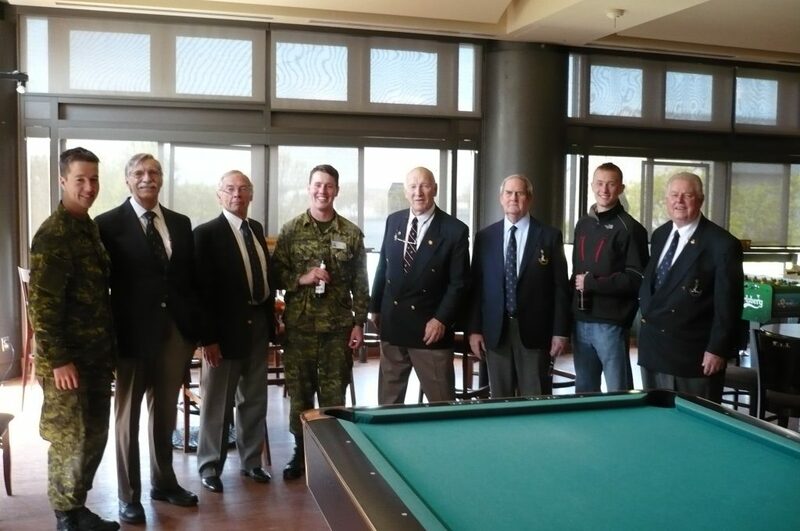 Photo at the Class of 1964 luncheon hosted for the members of the 2013 Sandhurst team. Those present from the Class of '64 were: (left to right) Jim Barrett, Bob Harrison, Dave Iley, Al Hardie, and Ralph Lamoureux. Photo by Brian Cameron. Wyn Van der Schee, Lou Grimshaw had left.